Assembling machine 1 is the most basic assembling machine. 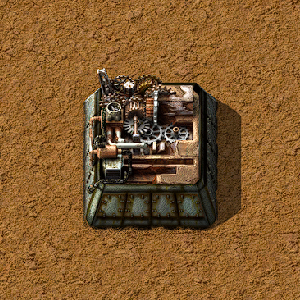 As Automation is the first technology available, this is the first available crafting machine. Unlike higher tier assembling machines, it cannot not use fluids for crafting. Limit of two ingredients for recipes removed, can now craft any non-fluid requiring recipe. Assembling machine input slot can contain more than the usual stack size when the recipe requirement demands it. Fast replacing assembling machine keeps the orientation of the original assembling machine. Productivity modules can only be used in assembling machines producing intermediate products. Crafting speed of assembling machine is relative to manual crafting speed. Reset bonus productivity of machine when recipe is changed. The assembling machine 2 speed is now slightly faster (from 1.5 to 2). Update recipe tooltip for assembling machine output. This page was last edited on 7 April 2019, at 12:57.